At Stauder we are passionate about solving real-world problems where we connect the old with the new, allowing you to add new components, systems and platforms with a low-cost, out-of-band upgrade. Our system-of-systems engineering experts take your integration issues and provide wholistic, innovative, streamlined and affordable solutions. But our first question is always “Why?“! Why? 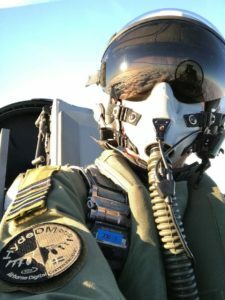 Because pilots of legacy military aircraft need to communicate digitally with other pilots and ground users using modern communications … but they can’t afford a major upgrade? That’s where HydeDM™ steps in. With a simple single box replacement, we were able to not only upgrade to the latest protocol(s), we were also able to creatively expand the messaging capability, for about half the price of an IDM. No wiring changes. No mounting changes. No Mission Computer changes. Just unplug the IDM, plug in the HydeDM™ and power up the jet. Too easy. 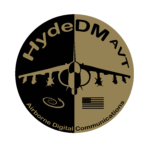 One more pro: HydeDM™ is future proof … you can keep up with the ever-changing digital communications protocols through a maintenance-level squirt of the box. 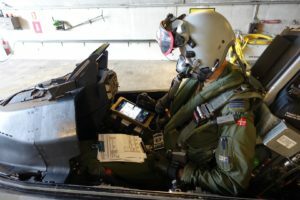 Currently we have provided this solution for the Danish and Portuguese F-16 pilots … and the US and Italian AV-8B pilots. Orders are being placed now for many F-16 countries and the HydeDM™ is planned for incorporation on new Block 70 F-16s. 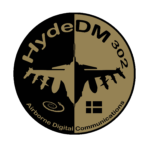 HydeDM™ can also be adapted to almost any military airplane or helicopter to achieve guaranteed interoperability. Why? Because pilots of legacy military aircraft need a low-cost display in their cockpit which can provide moving map capabilities as well as expanded digital communications with the ground and your wingman. But wait, there’s more! With some innovation and creativity, we developed a way to take advantage of the USB port on the HydeDM™ and connect the HydeDM™ to a tablet in the cockpit. We then developed the GustoAir™ Android App which provides the needed moving map, wingman symbology, air/surface/subsurface/land tracks, tactical graphics and full by-directional mission coordination and messaging exchange. Why? Because Joint Terminal Air Controllers (JTACs) need more training controls than are available with expensive military jets. 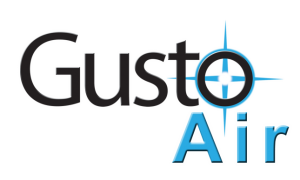 In a natural extension of our premium GustoAir™ system, we decoupled it from HydeDM™, paired it with low-cost radios, and either placed this combination in Alpha Jets, L-39s, Leer Jets, etc., or simply set this system up in the classroom to simulate an F-35, F-18, F-16, AV-8B, etc. What’s more, in some cases we hooked it to pod-based sensors and provided sensor steering and video downlink. Coming soon to a theater near you … Link-16 messaging. Why? Warfighters, especially Joint Terminal Air Controllers and Joint Forward Observers, love KILSWITCH and APASS for their intuitive, precision targeting capabilities all on a smart phone or tablet … but they also need a reliable, accurate and safe way to move targets and missions between warfighters and platforms. Add Stauder’s mobileJECL™ , a dash of business logic and a Tbsp of User Experience code and you have the recipe for digital interfaces to your radios and sensors and interoperability with most digitally capable aircraft and command & control systems. Why? Command & Control operators not only need the ability to precisely locate and define targets and to estimate collateral damage using the DIEE advanced toolset, but they also need to coordinate with the observers and delivery platforms. We asked, “Why not?”. Why not use the same JECL® technology and incorporate it into the widely accepted Windows-based DIEE system … and wammo, you have a state-of-the-art all-in-one system for cradle-to-grave end-to-end processing … that’s a lot of well-deserved hyphens. DPSS technologies are available via FMS only. Email us at JECL4DPSS@staudertech.com for more information on our DPSS integrated capabilities. To acquire DPSS products, please contact the DPSS FMS office at DPSS_FMS@navy.mil. Why? ATAK is sort of the swiss army knife of mapping systems used by the USAF, US Army, SOCOM and many international partners that includes an open architecture for mission-based plugin development. Again, the JTAC and JFO need a mission plugin for digitally acquiring and transmitting the important information to many disparate systems. Presto! We developed the premier plugin to ATAK for conducting fires-based missions, communicating with virtually every digitally-capable platform via … wait for it … mobileJECL™. Why? Sometimes the operators need a big screen to get an overview of the entire situation. Often, they need to take action, make decisions and communicate those decisions to others on the battlefield. And with JECL®’s integrated capability, communications just work. Building off of our proven and fielded mobileJECL™ ATAK Plugin, we built its Windows-based counterpart for easy networks, digital communications and mission processing. Send us a note at JECL4TAK@staudertech.com to ask about our TAK technologies. For international customers, TAK technologies are available from the USAF Program Manager Special Programs. But be sure to specify the mobileJECL™ ATAK Plugin and support from Stauder Technologies in your request. Why? Because developers need a set of common component and communication services for quick, consistent and reliable integration … so they can focus on the important mission-driven user interface and business logic. 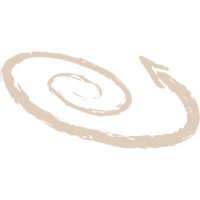 JECL® (Joint Effects Coordination Link) is magic. Not really, but it is the quintessential building block for guaranteed interoperability! JECL® was developed with the idea of placing it in every node, as a set of middleware services. This allows application developers to quickly consume the Java, C++, C# SDK. JECL® is deployed on many operating systems including Windows, Linux, Android (mobileJECL™) and RTOS. JECL® is a keystone component of our HydeDM™, GustoAir™, DPSS and TAK applications and is fully tested and deployed by the United States DoD and many allies for numerous ground systems and aircraft platforms. Besides other peripherals like Laser Range Finders and GPS devices, JECL® supports most radios and military protocols including VMF and Link-16. Why? Because we like you. But mainly we like solving our customers’ unique connection problems. We work hard to build lasting relationships where we partner with you, our customer, to create an enduring and supported middleware connection solution … so you can focus on the success of your mission … and not the details of how to make connections that matter.